To view a PDF of this story, click here. You know your customers. You know the necessities for your farmers, your ranchers and your pet owners. Feed, bedding and other supplies are all available and stocked for customers’ use. That leaves the question—what else are these customers looking for? What really makes the difference for farm, pet and ranch customers when they are deciding which retailer to frequent? To find out, it’s best to go to the source. 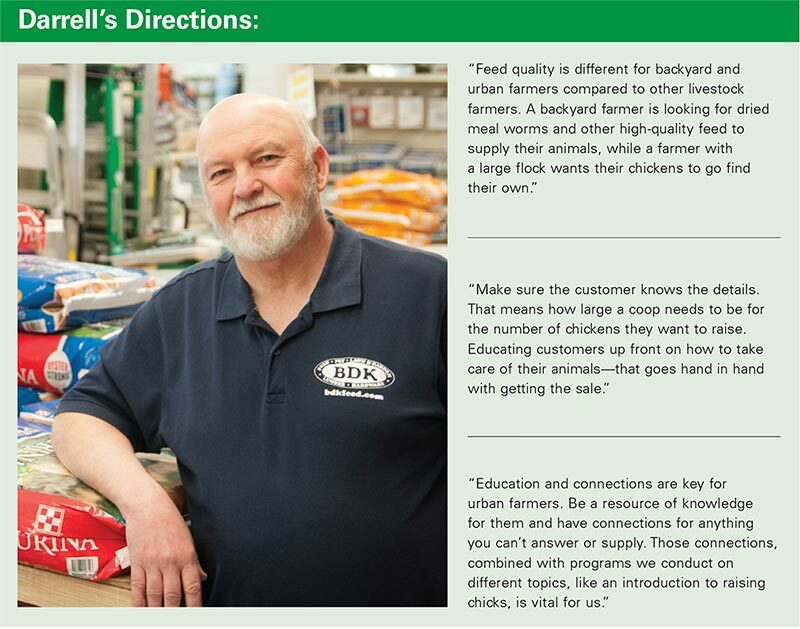 For Darrell Kingsland, owner of BDK Feed & Supply in Blanchester, Ohio, knowing what products to carry is just part of bringing in customers. Being able to speak intelligently with an urban farmer or pet owner about the products they need, as well as offering tips and ideas for projects or problems, can turn a first-time visitor into a loyal customer. Kingsland credits this kind of focus on relationship building with his store’s ability to win over farm, pet and ranch shoppers. 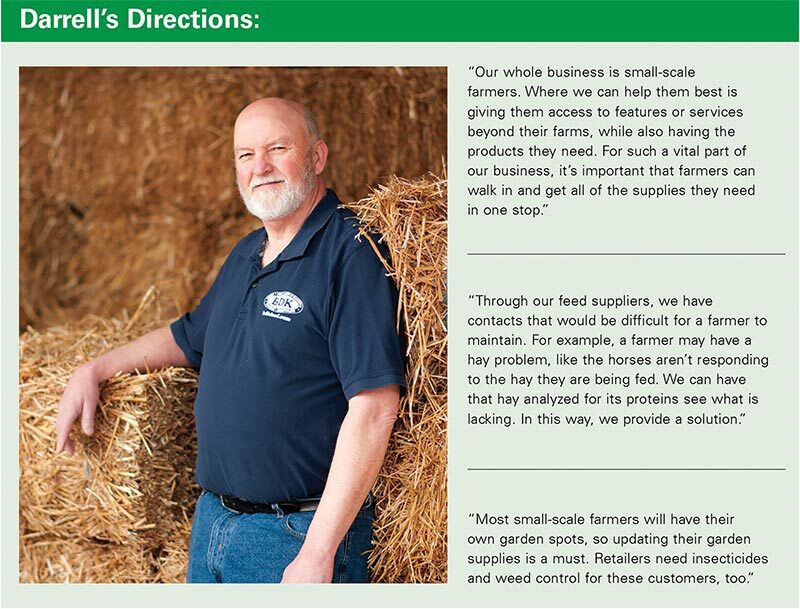 Whether your business caters to a farming community like BDK or you’re just adding a selection of products within the farm, pet and ranch category to your business, it’s important to understand what customers want. Hardware Retailing spoke to four different customers from across the country with distinct needs in the category. On the following pages, you’ll hear from a 4-H participant, a small-scale farmer, a pet owner and an urban farmer. 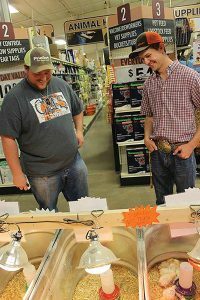 Each customer shares what they’re looking for when shopping at stores that sell farm, pet and ranch products. 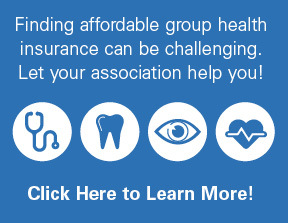 In addition, Kingsland offers insights on how to best reach each type of customer. Growing up in a farming family, Matthew Meyer got started in 4-H at an early age. Joining as a Clover Kid, the agricultural organization’s youth program, Meyer has shown multiple animals in competition. He has also competed in welding and woodworking projects. 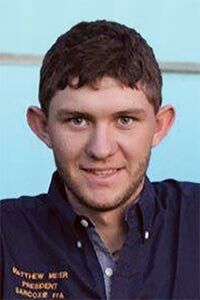 Meyer, a senior at Sarcoxie High School, is the oldest of three siblings all involved in 4-H. His father, Eugene, is an agricultural instructor, and his mother, Lori, is a volunteer in the county 4-H program. Meyer often shops at Race Brothers Farm & Home Supply in Carthage, Missouri, and here’s what he says he wants from them. Sarcoxie is a rural area, so there’s no shortage of stores that can supply locals with farm products to meet their needs. 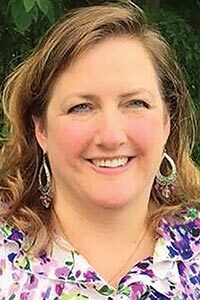 However, that doesn’t always mean a store is the best for 4-H. Finding a place you know will stock the items a 4-H member needs for their animals or projects can help, according to Meyer. 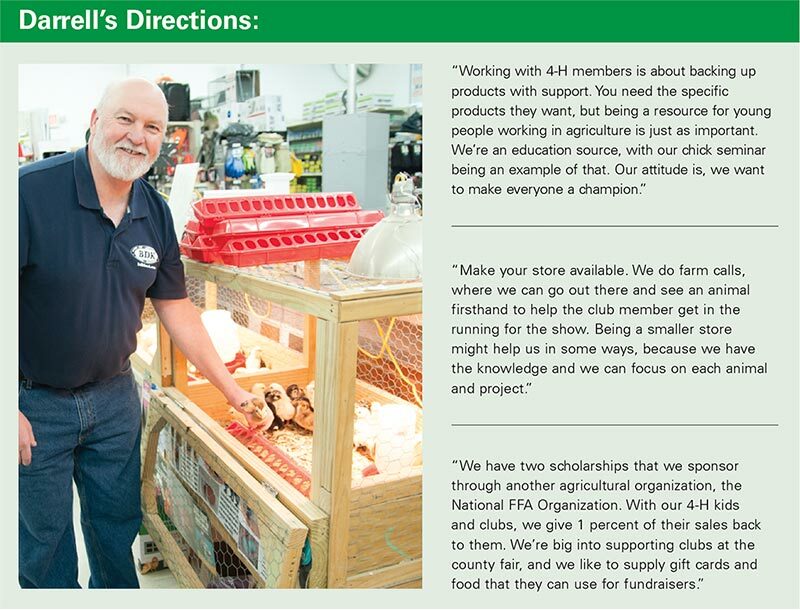 There are a lot of different projects to get involved with in 4-H, he says. Members can compete in a number of projects, from art to nutrition, so they don’t always involve animals. The Meyer family is highly involved in showing animals for competition, and that requires specific types of feeds and products that wouldn’t normally be needed by a farmer. “We use special adhesives and oil-based products to give our show animals the best sheen we can. We also need feed and additives that are designed to help an animal get to a goal weight for their appearance at competitions,” Meyer says. Zach Mason (left) a manager at Race Brothers in Carthage, Missouri, talks chickens with 4-H member Matthew Meyer. Experience in 4-H goes a long way toward earning Meyer’s business, and that’s a big reason his family shops at Race Brothers. Sometimes it’s not just the supplies he needs; it’s the knowledge if he’s working on a new project and not sure where to start. The main events for 4-H members are the county, district and state fairs, which are the big stages for most 4-H groups to show projects and animals. Race Brothers is very involved in the fair, Meyer says, including buying animals at the annual auction after the fair. The auction money often funds next year’s projects or goes into a college fund for the member. Race Brothers also conducts a showcase throughout the year, giving time for each 4-H club in the area to show projects they’ve been working on. With original roots stretching back to an agricultural family and community in South Korea, Kyong Soh cultivated her sustainable agricultural experience in New York before transplanting to the Pacific Northwest with her family. Soh’s primary experience is in cooperative farming systems, sustainable and organic farming, educational farming and regional food security systems. She supports over 35 farmers in their business development while operating a 40-acre farm. Tilth Alliance is a nonprofit organization in Washington state that brings people from diverse backgrounds, such as rural and urban; farmers and eaters; and gardeners, cooks and environmental advocates; together to learn about growing and eating fresh, nourishing food while regenerating healthy ecosystems. Here is what she says about her shopping habits. For Kyong Soh, senior production manager for Tilth Alliance in Washington state, finding a local retailer isn’t just about supplying goods and services. A shared attitude favoring locally owned and operated businesses is key. On a smaller farm, Soh needs all of the same equipment that any farmer needs to cultivate the land. However, she’s often working with a smaller budget and on a smaller scale. 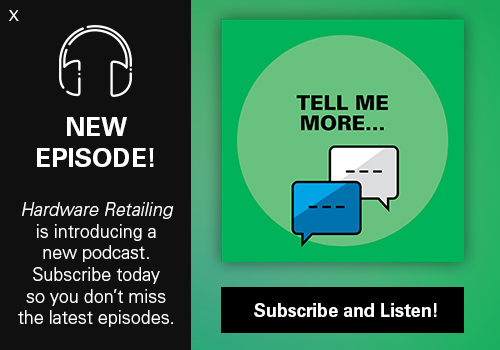 Access to as many products in one place is important as she’s often in a rush to gather supplies, but she also values the relationship she builds with a retailer. Staying local also means retaining relationships. An important part of Soh’s relationship with retailers is purchasing. Having flexibility in how she can purchase from a retailer is important, and with some larger stores it can get “cookie cutter,” Soh says. She prizes custom, unique and flexible ways of purchasing, and that’s more easily accomplished at smaller stores. Retaining employees is also important. A small farm, by its nature, does more with less. That can often mean few workers on the farm, and sometimes Soh needs specialized skills to finish a job. A retailer that either employs or has contacts for tradesmen, such as welders, is a great benefit. “Those are skills that are fading, and we want to encourage people to seek those trades,” she says. Soh partners with businesses and retailers that are willing to head out to the farm if the need arises. “It’s a really great selling point for a business when they do that; it gives a stamp of approval that this is a community-based business that is contributing back into the community, so I should reciprocate,” she says. Some hardware stores offer supplies and materials, and then partner with a group that has labor to build out a shed or improve a hiking trail. Wendy Ralph and her large family run Golden Acres Farm & Kennel in Warren County, Ohio. They raise cattle, poultry, goats and rabbits for their own needs and for sale. The Golden Acres team has bred and raised golden retrievers, golden retriever-poodle mixes and standard poodles for six years, and the kennel offers dog boarding, too. BDK serves as a supplier for Golden Acres’ feed and hardware needs. Here is what Ralph says about why she shops at BDK. 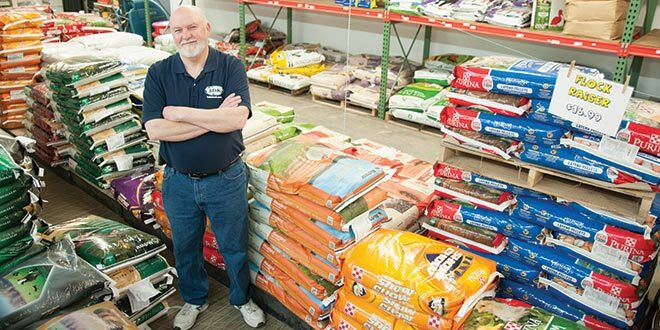 With pet food and supplies making up a large portion of BDK Feed & Supply’s business, owner Darrell Kingsland makes sure to stock the highest-quality items at the Blanchester, Ohio, store. At Golden Acres, there are a lot of chores that need to be done, including taking care of several types of animals. Ranch animals are mostly for the Ralph family’s needs, though the farm does raise and sell livestock when orders come in. The family boards dogs as well, but the main part of the business is the breeding operation. 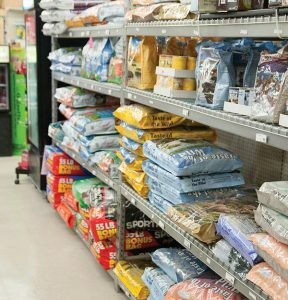 A big reason why Ralph uses BDK is that the store carries the kind of high-end feed that Ralph supplies the dogs, while also having everything else she needs in a hardware store. Ralph is most interested in services she’s seen involving convenience for pet owners. She likes events like a mobile veterinarian that can visit a store on occasion to take appointments. “Owners can bring their dog in so they can get their shots, get a checkup and so forth. Those kinds of things that can help an owner care for their pets in a convenient way is neat,” she says. Those connections don’t have to stop with a vet. 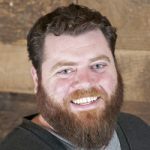 Ralph is a connection for BDK with the dog boarding business in case a customer is looking for someone to watch their pets. That can expand beyond the pet category—for example, referrals for plumbers—but being known as a place with connections in the pet world is important. Educational events have attracted Ralph’s attention, especially those that teach pet owners how best to care for their animals. BDK conducts special events that will offer information, such as how to protect pets from ticks. “These kinds of educational tools are how retailers can show they have my pets’ best interests in mind. That gets that retailer better business in the long run,” she says. 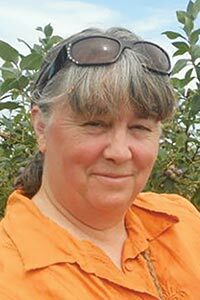 Laura Matter has been a practicing horticulturist for the past 30 years. During 10 years with Seattle City Light, she worked with her crew to replace and reduce pesticide use. Under her guidance, a large electrical station was registered as a Backyard Wildlife Sanctuary in the state of Washington after being enhanced with native plants and birdhouses and using natural pesticide alternatives. Matter ran her own landscape maintenance business for 14 years and currently provides landscape consultations and urban farm tutoring. Here’s what Matter says she wants from her local retailer. 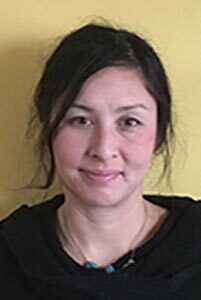 Shelter requirements and proper knowledge of an animal’s needs are the most important aspects of urban farming for new agriculturalists to learn, says Tilth Alliance garden hotline manager Laura Matter. Urban farmers are very concerned about proper housing for animals, Matter says, so materials and knowledge that can help them in that regard are key. She highlights neighbors, property lines and predators, such as possums, in urban environments, as potential issues for urban farmers. 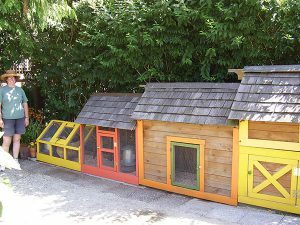 A home improvement store doesn’t need to always have chicken coops on site, but they should have materials for them to build the coops or be able to refer customers to a contractor who can handle the job. Access to straw is also important. 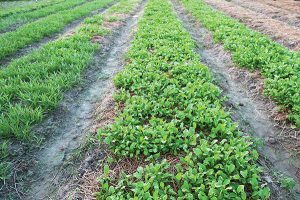 Urban farmers tend to be looking for organic, clean straw with no herbicides. 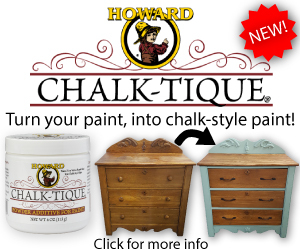 Matter cites a large market in decorative items, which might not be an obvious item to stock. For any livestock, their shelter in an urban environment is going to be part of a home’s overall appearance, and farmers like to personalize and decorate these areas. People look for roosts that are more festive with colorful stands, Matter says. Items made out of recycled materials and inventive sculptural items are also popular. It’s important for the store to have knowledgeable people and also to have educational materials on hand. An employee who can assist a customer who is just beginning as an urban farmer is a great asset, particularly if the customer is asking what animals and breeds they want to raise. From chicks to goats and beyond, there are different breeds within each species, and someone who can deliver on that kind of in-depth knowledge is very important. Building a collection of resource materials at the store that can help a customer even after they leave will help many first-timers on their way, Matter says. Supplying feed and shelter needs brings customers in, but being connected with others who tie into farming and livestock can be just as important. Even hardware retailers that carry chicks and ducks won’t normally carry goats, Matter says. 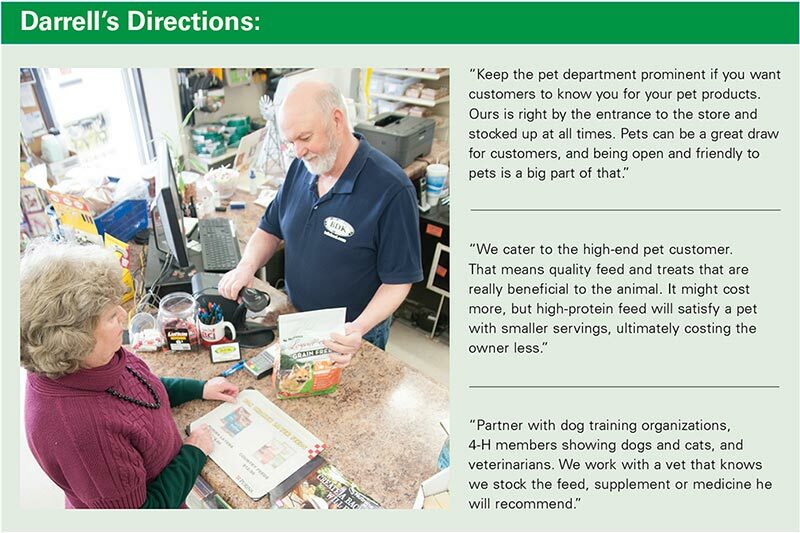 Being able to connect customers with breeders for different types of animals can garner attention for a store. Farmers will look for veterinarians who work with livestock, so having those connections is key as well. Then, particularly in urban farming, it’s helpful to have contact with pet sitters who know how to care for urban livestock.